To date my son and I have ordered 4 boxes of cigars from Cigar Terminal. We have been very pleased with the packaging and the quality. 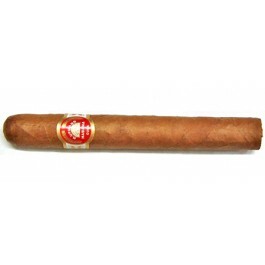 I personally find the H Upmann Coronas Major among my favourite cigars and the first out of the box burned perfectly. Sweet and smoke filled the rest are sitting in my Humidor waiting for several months to pass. We will continue to order from Cigar Terminal! Recently ordered a box of Coronas Major's. Smoked one right out of the box. It burned perfectly and took an hour. Flavour was on point, exactly what I expect for an H.Upmann. A must buy for any fan, Thank you Cigar Terminal for another amazing order. I smoked this cigar fresh out of the box. The unopened bottom of the box had a factory code of SOM, a date code of Oct 15 and the inscription Totalmente a Mano, meaning "totally by hand" or hand-made. Fifteen of the 25 cigars had scattered white powdery bloom/plume spots which is a good thing. This means that the essential oils contained in the tobacco have come to the surface and the cigar is aging well. They were easily brushed off. The cigar was cut and had a manageable draw but uneven burn for 65 minutes. The strength was medium and slightly harsh in the first third with little flavor. For the remaining two-thirds the strength mellowed slightly with little flavor other than tobacco. After arrival of an unopened box, Mary recommends 2-3 weeks in a humidor to allow the cigar to stabilize and re-humidify. For cigars that have been in a closed Tubo for 1+ years, this is an excellent suggestion and likely contributed to the uneven burn and harshness of this cigar. Screw off the cap, put them away, and be patient. I intend to write a more fair follow-up review in a few months. My friend and i have this as our go-to cigar. Great taste and never harsh or bitter, perfect for relaxing over a cardgame.